Microsoft has been very open about giving us a look at how Windows 10 will look like when it finally arrives in the latter half of this year, but if you are interested in finding out how the rebranded Music app is going to look; you will have to dig a little deeper. Earlier today, a Twitter user found an Xbox Support page that can give an insight into what the software giant is planning for its all new Music application, which will be released right alongside Windows 10. At first glimpse, the darker theme combined with the overhauled user interface looks suspiciously like a screenshot someone took of Spotify instead of the current version included with the Technical Preview of Windows 10, which remains largely similar to Windows 8. However, the new user interface would also look rather familiar to anyone who is making use of the Xbox app for Windows 10. This is simply a part of Microsoft’s overall unification towards black and white, which are the primary colors that have been used in the entire revamped operating system. It is noted in the security documents that users of the Windows 10 Technical Preview will have to use the name Music Preview in order to search for it in the Store. This will be installed along with the standard Music app, at least right now. 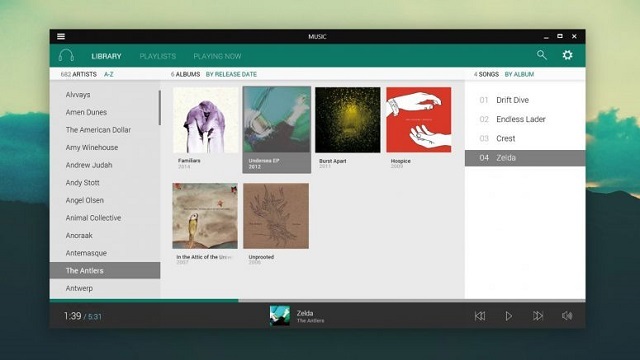 Not only will songs, which are ripped from a CD collection, will be displayed, purchased from a service such as iTunes and copied to OneDrive, but the Music Preview will also show user playlists along with millions of songs that can be found in the Xbox music catalogue. It is planned by Microsoft to release Windows 10 to the public in this summer, which will probably be around July, in 190 countries and 111 languages.